The distance people travel, including on foot, has still not reached pre-recession levels, Government figures have shown. On average each person in England travelled 6,584 miles in 2013 – slightly down on the 6,599 figure for 2012 and well short of the pre-recession total of 7,124 in 2007. The bulk of the 2013 total figure comprised travel in cars or vans, either as a driver or as a passenger. Average distances travelled by car or van as a driver last year totalled 3,235 miles, slightly down on the 3,305-mile figure for 2012. The distance travelled as a passenger in a car or van rose from 1,833 miles in 2012 to 1,865 miles in 2013, while the number of miles walked rose from 182 in 2012 to 187 in 2013. The average number of miles completed by pedal cycle fell from 55 in 2012 to 49 in 2013, but was still above the pre-recession figure of 43 miles achieved in 2007. The distance travelled on London Underground (83 miles) and on the railways (567 miles) last year were both almost identical to those for 2012.
:: At the end of 2013 there were 35.2 million licensed vehicles in Britain – a 1.6% rise on 2012 and the largest annual increase since 2007. 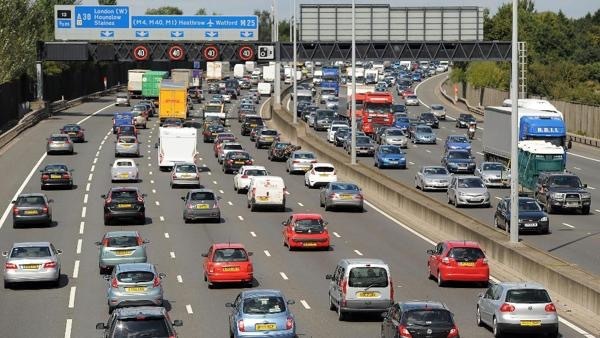 RAC Foundation director Professor Stephen Glaister, director of the RAC Foundation, said: “The total mileage we travel by train, plane, automobile or otherwise, has shown a slow but steady decline pretty much over the whole of the past decade. AA president Edmund King said: “We know from our research that 79% of AA members enjoy driving, and the car is a much needed item for people, with 76% saying it is essential to their daily lives. This entry was posted in travel and tagged AA, Glaister, King, Macgowan, RAC Foundation. Bookmark the permalink.